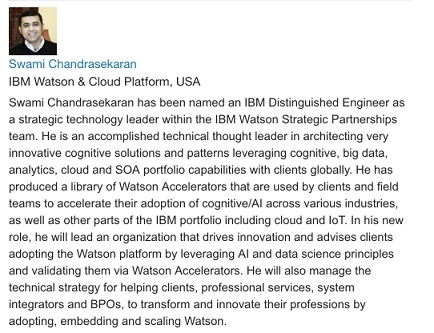 Our Alumnus Mr.Swami Chandrasekaran (KCT 1997 Passed out) has been appointed as an IBM Distinguished Engineer. To put this in perspective, IBM has ~400,000 worldwide and there are approx 600 active Distinguished Engineers. Only 0.15% make it in their lifetime.